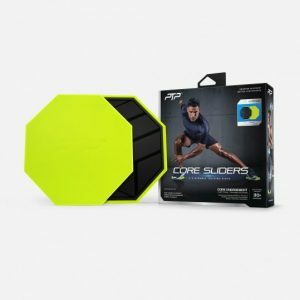 With Core Sliders or Training Discs you can add a dynamic dimension to your exercises and take your performance to the next level. They provide an efficient workout by challenging your core stability, cardiovascular endurance, strength and flexibility all at the same time. Because they let you move forward, backward, side-to-side and rotationally – without restrictions, they are also ideal for functional sports training. By simply narrowing or widening your grip or foot positioning, you can increase or decrease the level of challenge of your chosen exercises.